The Wall Street Journal is elbowing its way into the New York Times’ territory with its soon-to-debut New York daily section by taking advertisers, arts and local sports writers and (possibly) subscribers, too. But now the WSJ vs. NYT battle is migrating onto a whole new level: In Starbucks. The Times used to have an exclusive distribution deal in Starbucks. Readers could pick up the paper while they stood in line, waiting for their daily latte fix. 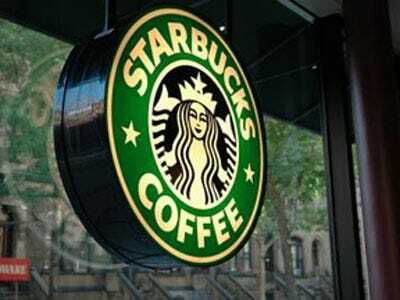 But now those monied consumers are getting more choices: The New York Observer edged into the Starbucks stand last year. USA Today also made a recent deal. Now the Wall Street Journal just announced that 450 local New York coffee shops will distribute the paper. This new distribution agreement comes as the Journal prepares to launch its highly anticipated New York section next month, which will capture readers’ attention by applying the Journal’s unique insight and analysis to a wide range of topics of interest to New Yorkers. The Journal is available in New York-area Starbucks locations, including parts of New Jersey, Connecticut and Pennsylvania, offering Starbucks customers more options when choosing their national paper. The Wall Street Journal is the number one newspaper in the U.S. in total paid circulation, offering readers expert reporting and thoughtful commentary from the world’s most trusted news source.